The Constitutional Amendment Bill to provide reservation to the economically weaker sections has been passed by both Houses of Parliament. It will soon become a part of India’s Constitution. Caste in India was considered as a key determinant of either social or historical oppression as in the case of the Scheduled Castes and Scheduled Tribes or a determinant of social and educational backwardness as in the case of the Other Backward Classes. Poverty, however, is a secular criteria. It cuts across communities and religions. Poverty as a criteria for a carve out does not in any way contravene the basic structure of the Constitution. The original Constitution (unamended) in its Preamble mentions Equality of Opportunity and Justice for all whether political, social or economic to be ensured by the State. The Preamble expresses the intent of the Constitution framers. It is an aid to the interpretation of what constitutes the basic structure. Nor does the carve out amongst the general non-reserved categories for 10 percent of their poor in any way get restricted by the 50 percent reservation embargo placed by the Supreme Court. In the Indra Sawhney case, the Supreme Court had categorically mentioned that 50 percent criteria applies only to the caste based reservations envisaged in Article 16(4) of the Constitution. Nonetheless, the Prime Minister’s decision to force an agenda for poverty based reservation is the single greatest recognition/ concern for poor across the general categories and the need to eliminate poverty. The principal opposition party showed only lip sympathy for the measure and grudgingly supported it while poking holes in the same. The Modi Government has promised a house for every rural poor. Currently about 50 lakh houses per year in rural India are being built. By 2022, every poor family will have a roof on its head. Most Indian villages have been connected by a pucca road. State funding has been increased from Rs.9000 crores annually (pre UPA) to Rs.27,000 crores during NDA. Each village has been electrified and all willing dwelling households, including those who cannot afford an electricity connection, have been provided with the same. Rural sanitation has moved up from 39% to over 98%. The mode of cooking has been altered from coal and wood to cooking gas. The poor are being provided the same under the Ujjawala Scheme. The MGNREGA expenditure has crossed Rs.60,000 crores, almost twice of what was being spent by the UPA. The universal health scheme – Ayushman Bharat – is targeted at 40% of India’s population who are at the lowest point of the economic ladder. Each one of them can get hospital treatment free with the coverage upto Rs.5 lakhs annually per family. 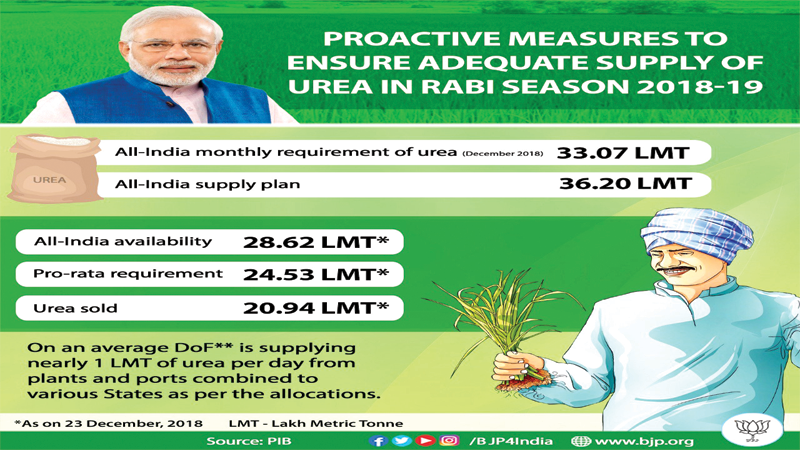 For the farmers, besides doubling the expenditure on interest subvention, completing the 99 unfinished irrigation schemes, giving the farmer a crop insurance scheme, the Government has expressed its intention to help the farmer by fixing the Minimum Support Price for the notified crops at 50% higher than cost. The farmers, of course, need greater support and the Government is committed to the same. I have already, in a recent article, highlighted the pro-labour steps that the Government has taken in terms of improving/ liberalising the provisions of gratuity, bonus, minimum wage increase, ESI, social sector pension, Anganwadis and Asha workers etc. (read blog dated 9.1.2019). For the India’s middle class, in the last five years, not a single tax has been increased. 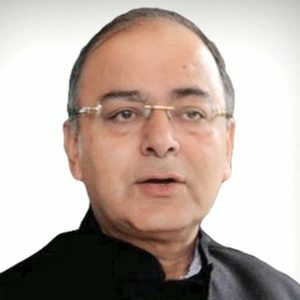 Indirect taxes have been merged into one in the GST. The GST is the single most important ‘consumer friendly measure’ in India. Taxes of most commodities have been brought down. Commodities have been made cheaper, even though the revenue sacrificed now after the rates revision, would be close to rupees one lakh crore. Similarly, in every Budget, the lower end of the tax payers have got relief both directly and indirectly. Even though the taxation slab is Rs.2.5 lakh, those with an earning upto Rs.3 lakh need not pay any tax. A Rs.40,000/- standard deduction has been given to all employees. Similarly, all investments in housing, insurance and other saving instruments, have been increased in the last four years. The cost of this to the exchequer is almost Rs.97,000 crores per annum. This is the first time that during the five year tenure of a Government a Rs.2 lakh crore annual tax rebate for both direct and indirect taxes is given to the middle class tax payer without a single tax being increased. The subsidy for housing for the middle class has been liberalised. Inflation during the five year tenure has been kept between 3-4% as against 10.4% during UPA-II. The Government staff has benefitted from speedy implementation of the Seventh Pay Commission, the Services have benefitted from the implementation of the OROP, the pensioners have benefitted by the New Pension Scheme. The Government contribution being increased from 10% to 14% and greater part of rebate being given to the entire amount of 60% which can be withdrawn at the time of superannuation. There is a method for economically empowering the poor. Their purchasing power has improved. This helps trade and businesses which impacts positively on the economy. This is the first five year tenure of a Government where India has consistently remained the fastest growing economy in the world. This indeed helps every Indian – the poor, the neo-middle class, the middle class and, of course, the large business community.